In case you haven’t guessed by the recipe this week, I’m pregnant. Like actually very pregnant, I don’t know how time has flown by so quickly, but we are already six months along. It is really exciting news for us, and appropriate that this post happens to land on (Canadian) Thanksgiving. I feel very lucky and beyond some nausea in the first trimester and worrying that I may never feel like cooking ever again, (and being SO EXCITED, that it’s hard to focus on anything else) it’s been a good pregnancy so far. The nausea and fatigue were very interesting though. This is sort of weird, but for as long as I have been cooking for people going through cancer treatment, I have tried to put myself in their shoes to figure out which foods would taste the best and how far I could push the healthy/vegetable envelope. Every time I have had food poisoning or the flu over the past 6 years or so (which has not been often), I take notes (I literally have a ‘nausea food’ note in my phone). I have also questioned my pregnant sisters and friends (and obviously clients), none of who ever really wanted to talk about it. Now I know why. I get it. Gross. I have even run into a few former clients and had to apologize for my nauseating kale enthusiasm during their sickest times. In one embarrassing incident, I even ran into two of my fave clients while at Whole Foods, at the smoothie counter….paying for my salt and vinegar chips. I am not trying to compare my experience to that of someone going through treatment (also, I have learned from experience that in pregnancy the nausea is a good sign, so it was hard to be anything but grateful), but I do feel like I understand the aversion to food a little bit better. I think I might even be less vegetable-bossy going forward. I might also forget all of this and revert back to the obnoxious vegetable cheerleader of my past, who knows. One thing I have learned from talking to others is although everybody is different as far as what they tolerate when they feel sick, no one wants garlic, or the old cruciferous smells that seep out of a day old kale smoothie, or anything they ate the day before or even last week (my husband loved this Chile Relleno recipe but I may never look at it again in my whole life). Bland food tastes best but no food tastes better, but not eating isn’t always the best option when you are trying to regain your strength and keep weight on. It’s a tricky situation. And sometimes it is surprising what tastes good, so don’t forget to try a little bit of everything. This is why it’s nice when someone else is doing the cooking. Not necessarily a personal chef (although, wouldn’t that be nice? 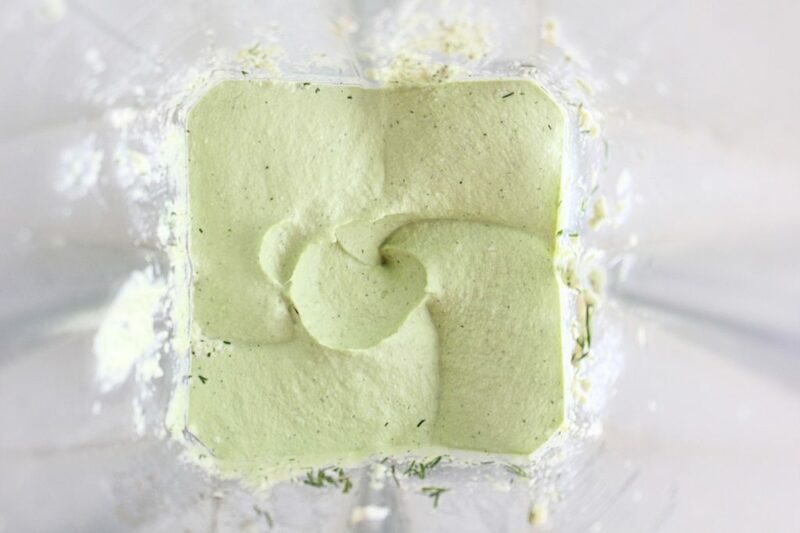 ), but maybe your friend dropping off some soup, your partner trying a new recipe out of a cookbook, or maybe even a fresh green smoothie (in my experience, especially if it is made with frozen ingredients, which dull the flavour, and is heavy in pineapple, which I’m pretty sure is a pregnancy thing). You just never know, so keep trying things. 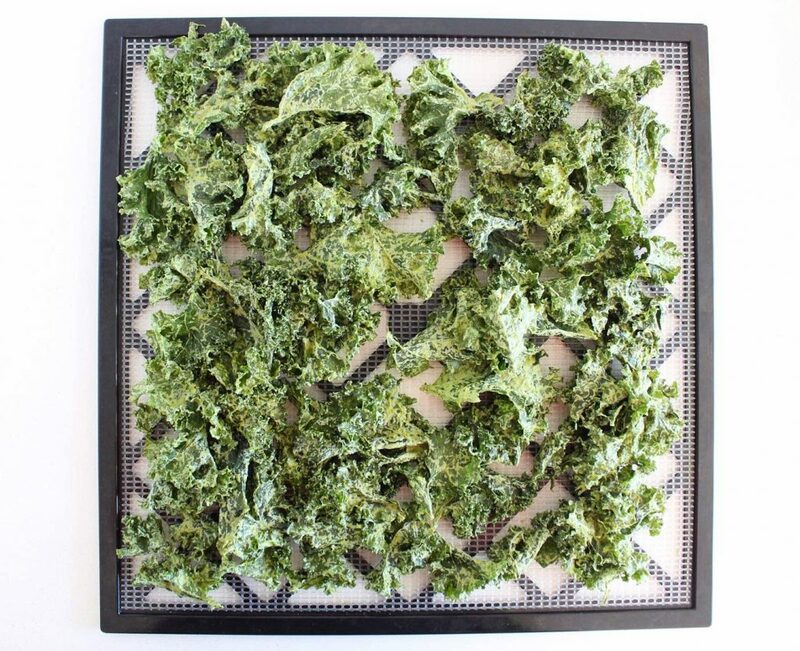 These dill pickle kale chips are right up my alley at the moment but would not have flown a couple of months ago when nausea was telling me that kale was for losers (although pickles and actual chips were definitely appealing). I have been making and eating these for weeks, trying to figure out a good recipe (you’re welcome baby). 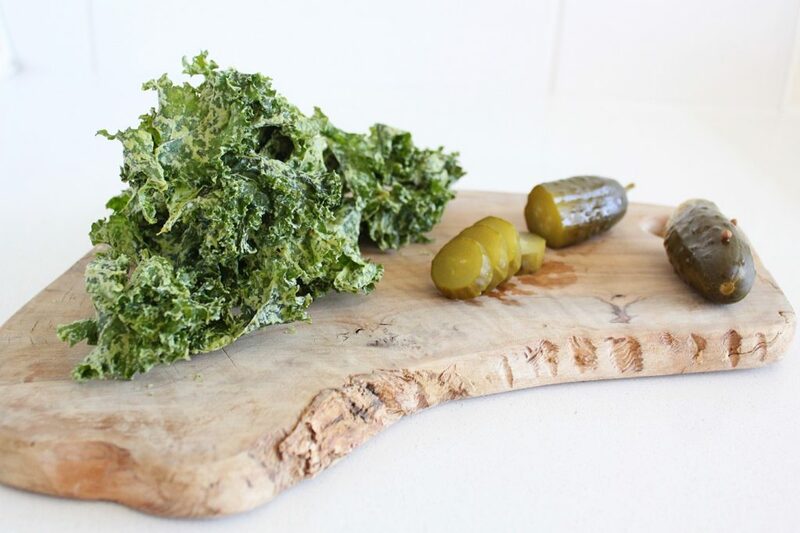 I tried making them with lacto-fermented pickles, walnuts and hemp instead of cashews but this was my best, closest to the real thing version. 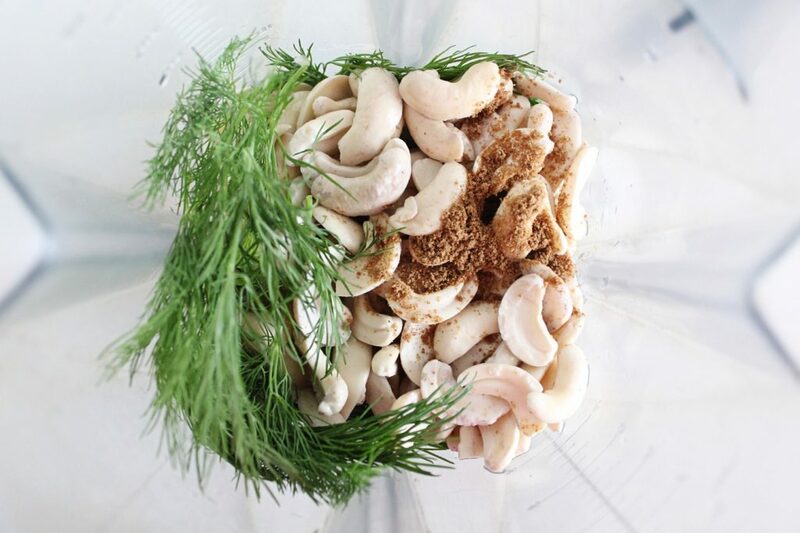 If you don’t eat nuts, try sunflower seeds in place of the cashews. To all of my past and present clients: I’m sorry for all of the veggie peer pressure, I do it because I care. To everyone else, I promise not to turn this into a baby blog. Happy Canadian Thanksgiving everyone! Eat your Brussels sprouts! (Just joking, eat exactly what you want and feel grateful, which counts as a vegetable too). I would love to hear any tips or comments from you guys regarding nausea. Foods/recipes that tasted good to you, how you stayed hydrated, how you tricked other people into cooking for you etc, let us know in the comments below! 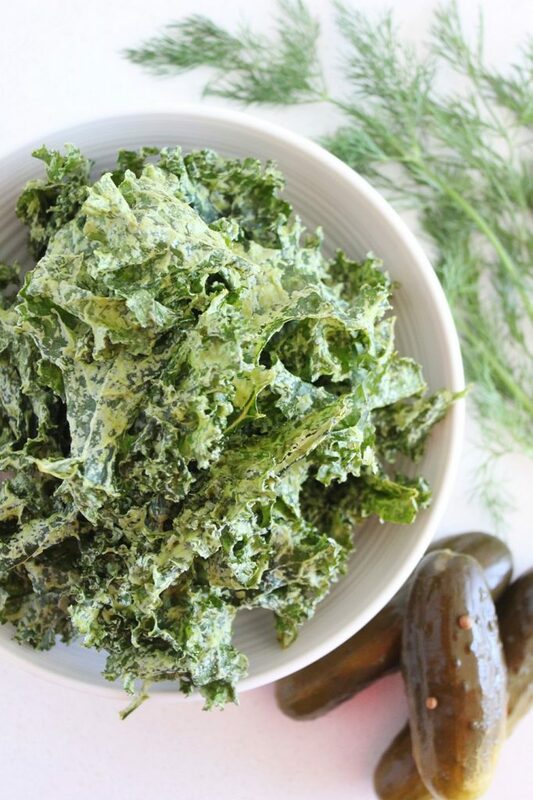 Put greens in a big bowl. 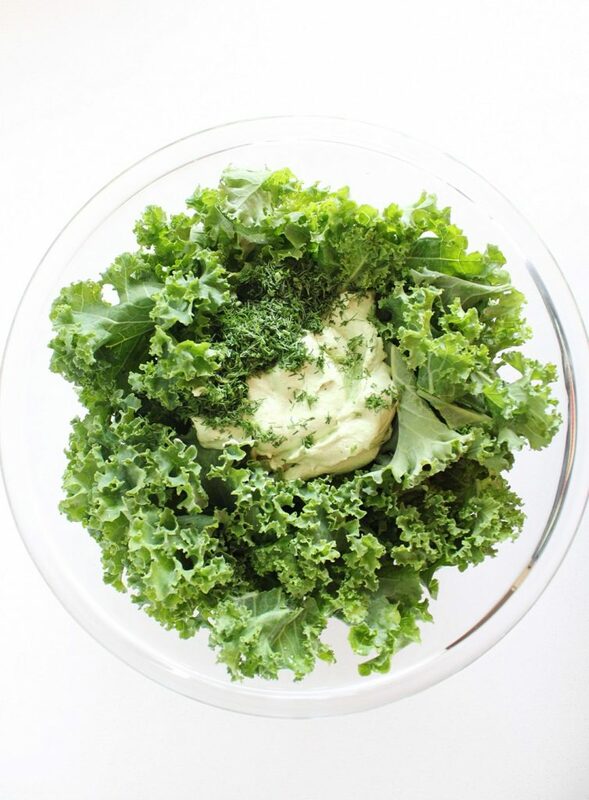 In a blender, blend the soaked cashews, HALF of the dill and everything else except for the kale. Add a bit more water if you need it to blend smoothly (the amount listed is the amount it took in my Vitamix that tapers at the bottom) the less water the better. 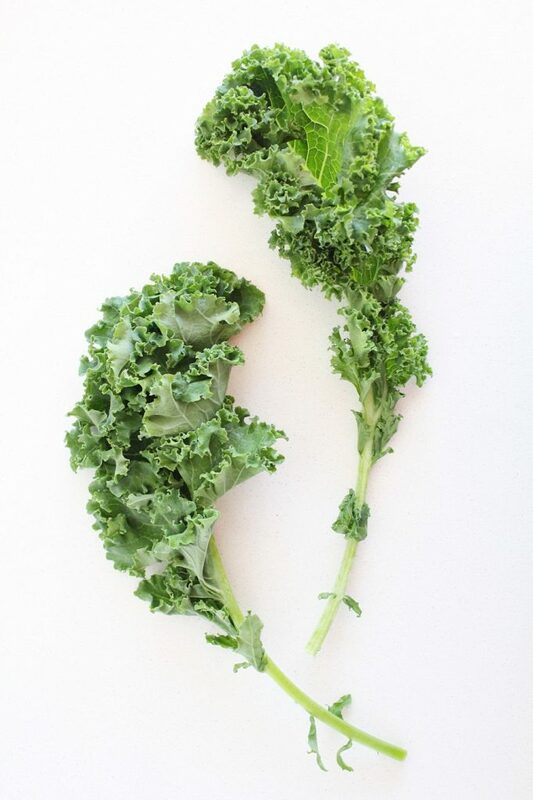 Once very smooth, transfer to the bowl with the kale. 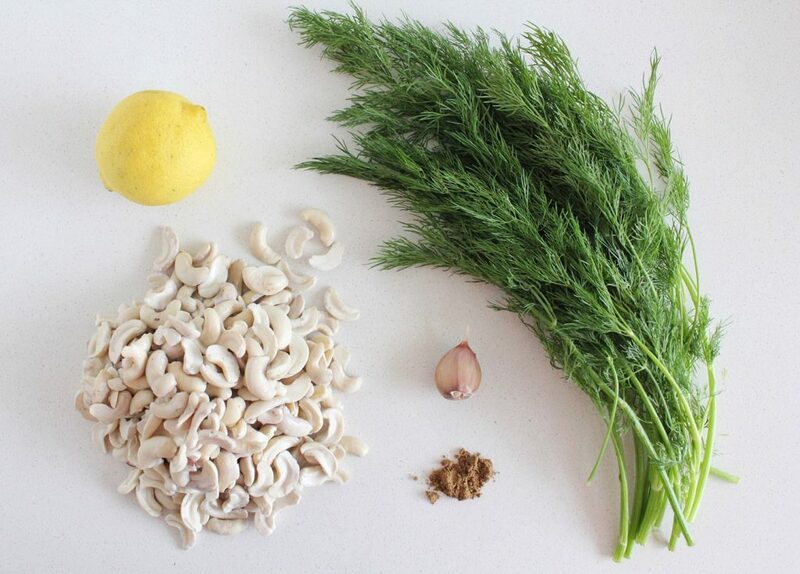 Chop the other half of the dill finely and add it to the bowl too. 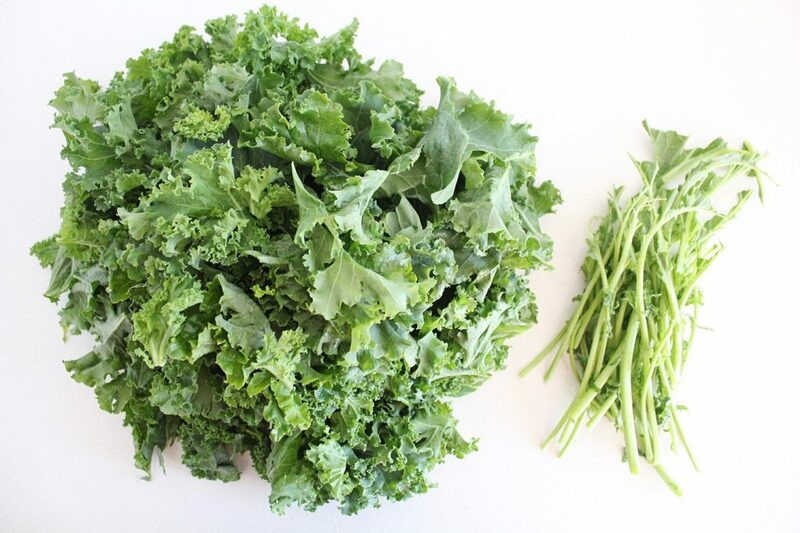 Mix well with your hands until the both sides of all of the kale is well coated. 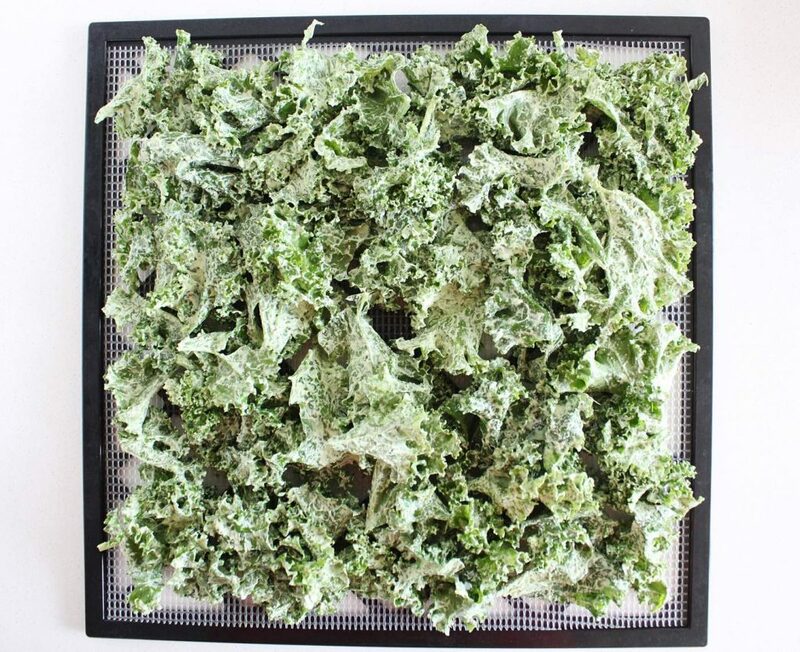 Lay out on dehydrator trays and dry at 115*F for 8-12hours or until the chips are bone dry. OR: Set your oven as low as it will go with the convection on. 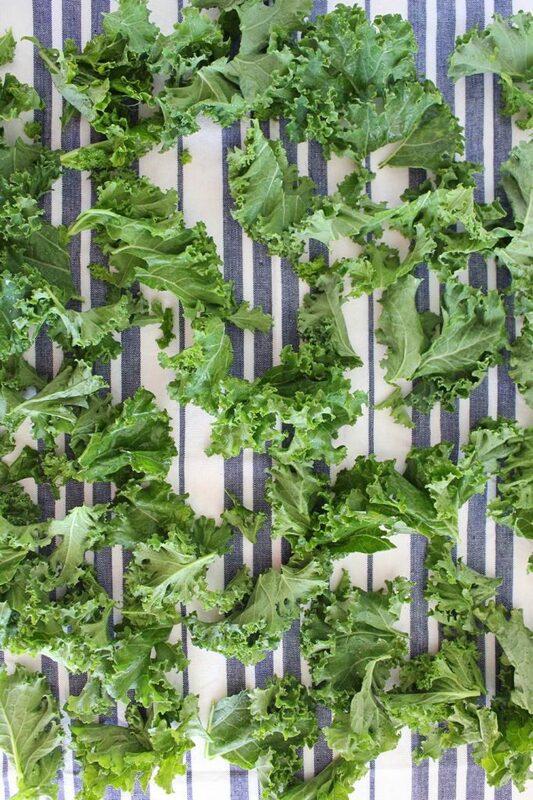 Lay out the kale chips on parchment-lined baking sheets. Let them bake until they are bone dry all the way around (You'll have to keep moving them around on the baking sheets to keep them drying evenly).